With initiatives like the Wal-Mart Scorecard in the U.S. and the E.U. 's Packaging Directive, delivering sustainable packaging is now an integral part of today's global competitive market. Written by experts from a wide variety of fields, here is a comprehensive, single source of actionable information that enables everyone involved in the design and development process to make smart, informed decisions, opening new possibilities for creating truly innovative solutions. Wendy Jedlicka, CPP (Roseville, MN) is President of Jedlicka Design Ltd. and a member of the faculty at Minneapolis College of Art and Design's groundbreaking Sustainable Design Certificate Program. A Certified Packaging Professional, she serves as Upper Midwest Chapter Chair (o2umw.org), as well as U.S. co-coordinator for the o2 Global Green Design Network (o2.org), and contributes frequently to Packaging Design magazine's "Sustainability Update" feature column. Chapter 1: Taking the First Step. Chapter 2: Mechanics of Human Behavior. Chapter 3: Marketing and Truth. Chapter 4: Laws and Economics. Chapter 6: Materials and Processes. 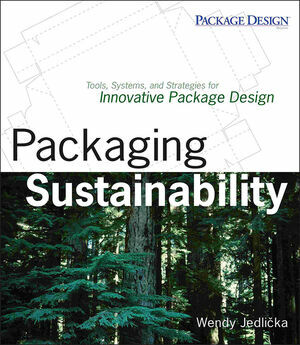 Contributors include practitioners, designers, engineers, marketers, psychologists and ecologists - a full spectrum of practitioners who offer a complete view of all aspects of sustainable packaging design issues.